What Do Tourists Want to Buy in Japan? – Jarman International K.K. Home »News & Results»What Do Tourists Want to Buy in Japan? 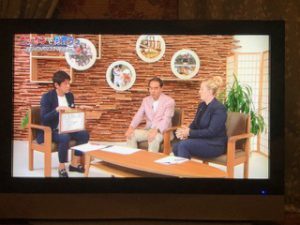 Here is Ruth Jarman giving her expert feedback on specific trends she sees happening among the inbound visitor markets in Japan. Shopkeepers, business owners, destination planners and even people in the general public are interested in what visitors like to buy and how to make sure what they want is available!